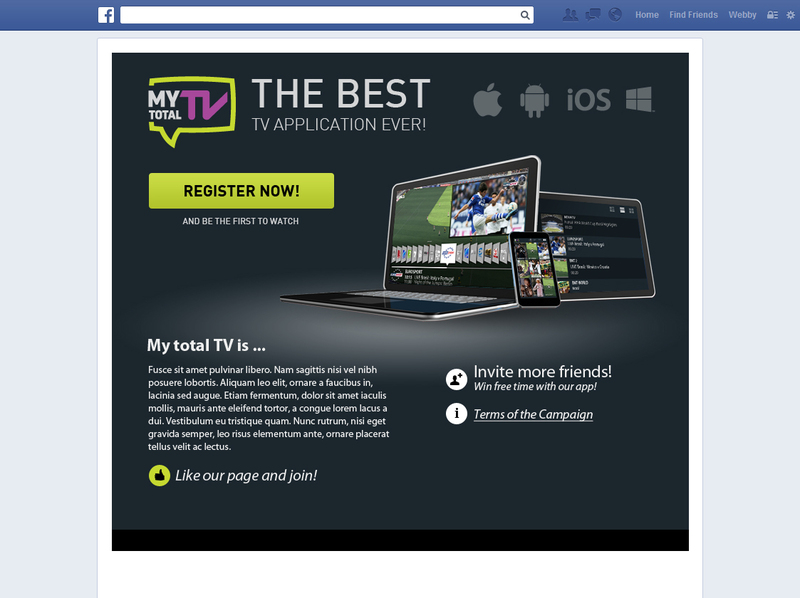 Design and development of a Facebook application for pre-registration of MyTotal.TV. 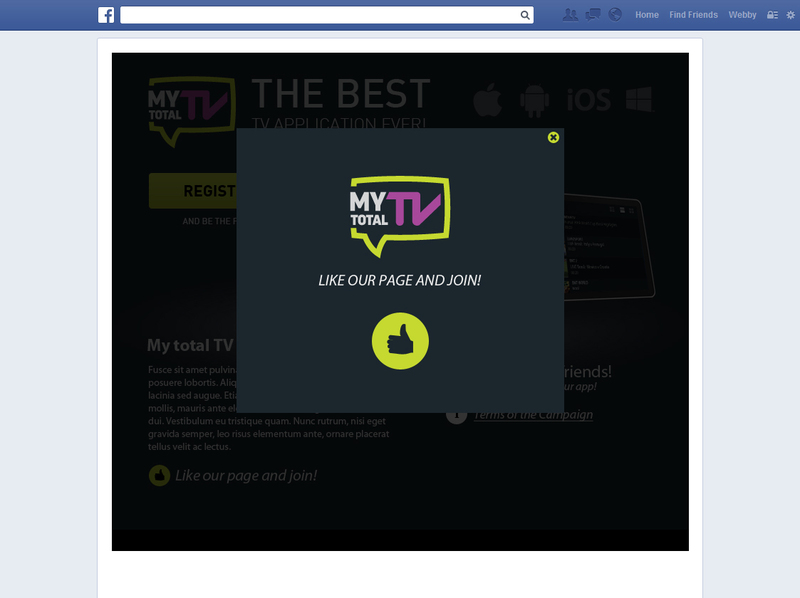 The goal of the MyТotal.TV Facebook app is to collect pre-registrations and to allow users to share information about the app launch with their friends. For the first week of the game more than 500 users were registered and more than 10000 invitations were sent. 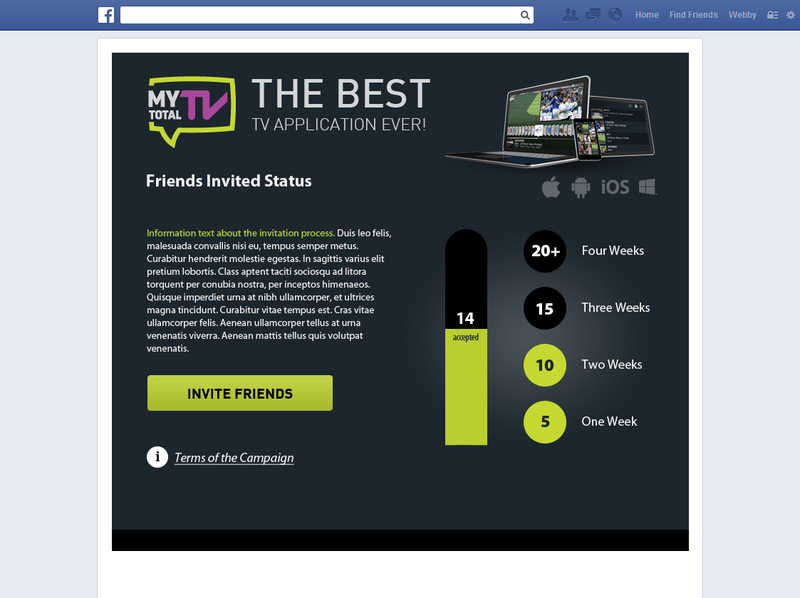 The app was supported with Facebook ad campaign.